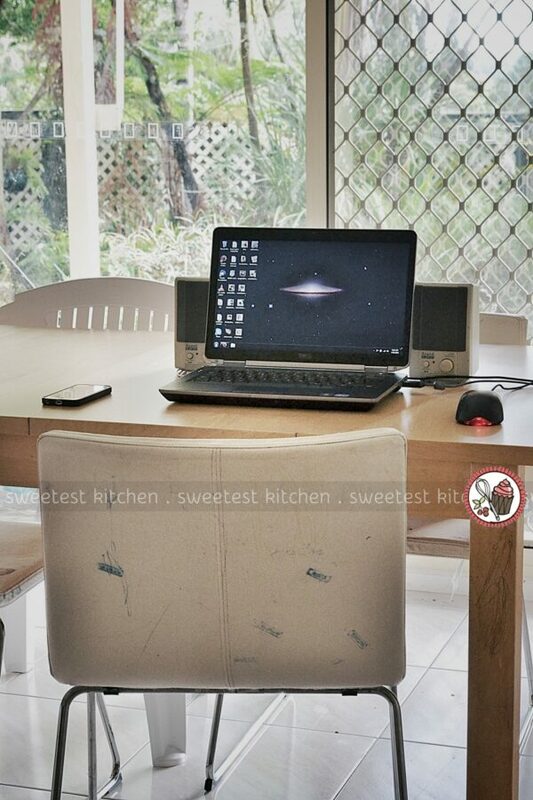 I’ve been sitting here at my kitchen table “desk” this morning doing a bit of online window shopping. My handbag zipper isn’t working anymore – when I zip it closed, the zipper behind it remains open. I found a few pretty bags but I’d have to have them posted to me from the US, which means that the postage costs is over half the price of the bag itself. Unfortunately, I’m pretty picky about my accessories, which means I can’t have plain black or brown bags. They have to be colorful, or patterned, and fun-looking. And I just can’t find what I want here in Australia. I also recently got a new iPhone case. I had a purple one before, chosen by my husband for me, but I have always wanted a pink one (pink is my favorite color). So I bought a pink one earlier this week. But, the ugly brand name of the case is written in big letters on the back. I figured I could cover that up somehow, so I bought some old Rainbow Brite stickers and when they arrive, I’m taking the Starlight one and covering up those big ugly words. Yes, I like Rainbow Brite. I believe in unicorns, too. Just FYI. I’ve been trying to take things a little easy lately, doing a few more things to make myself happy (like shopping, as above) and relaxed. It seems I’ve been a bit stressed, which is odd because I’m usually a very easy-going person who does not get majorly stressed, ever. But in the last month and a bit, things have been going off the rails. With everything. I can’t even single out one thing that could be the main reason I’ve been stressed. There’s kids homework, kids school, kids behavior, husband’s new job, housework and not to mention all the things that have broken (refrigerator, clothes dryer, husband’s car) and having to replace or repair them at great expense. Everything just piles up and is presumably the reason I’ve started getting more migraine headaches than I have ever had in my life. Not just little ones. Ones where I feel paralyzed with the pain behind my eyes, ones that make me feel nauseous and have me staring into the toilet, emptying my dinner, ones that can give me two auras in a row, ones that make the side of my face, one of arms, my side, one of my legs go tingly and numb to the point where I can’t even stand up. Migraines seem to be in my family, actually, so I’m not very worried. It seems like something in my brain snapped and opened up the migraine floodgates; unfortunately, I may have to live with them for the rest of my life if family history is anything to go by. So yes, I’ve been trying to be happy and relaxed. I have been baking so much lately, to try to take my mind off things. It doesn’t really work, though. But I have ended up bringing out a few wonderful things from my oven. If you’re following me on Instagram, you’ll have seen them! 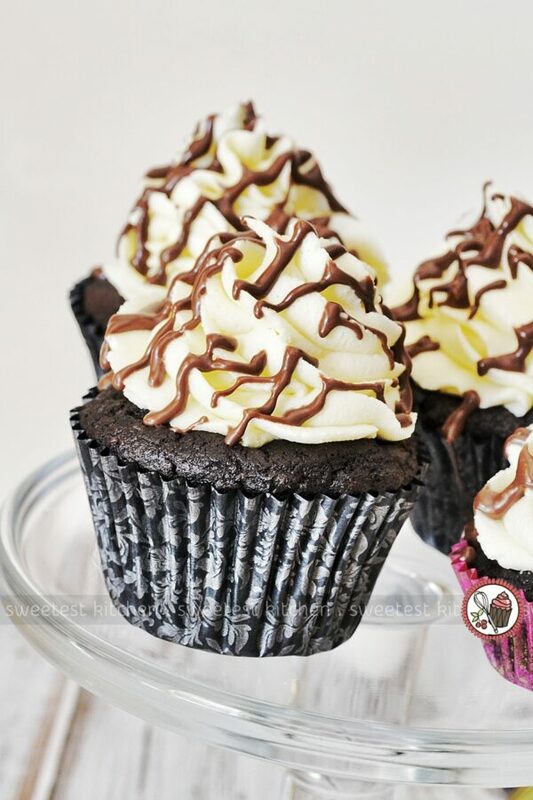 Today I’ll share with you these Macabella cupcakes. What is Macabella? If you’ve been down the peanut butter / nutella / jams aisle at Coles or Woolworth’s in Australia recently, you may have noticed a new kid on the block. It’s Macabella and, like Nutella, it is a nut and chocolate spread, but made with macadamias instead of hazelnuts, and it’s crunchy! There are a number of recipes I’d like to use Macabella in, but I decided to simply drizzle some on cupcakes. 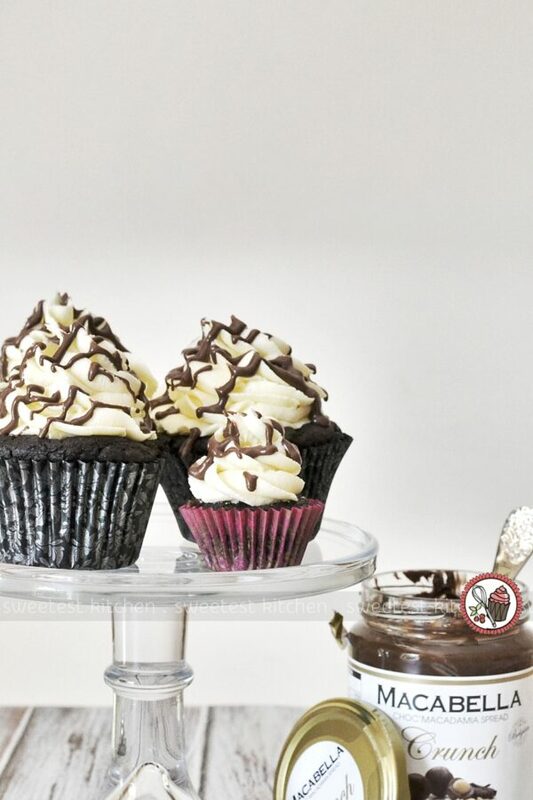 Here we have a few vegan cupcakes – vanilla frosting on chocolate cupcakes, with Macabella drizzled on top. 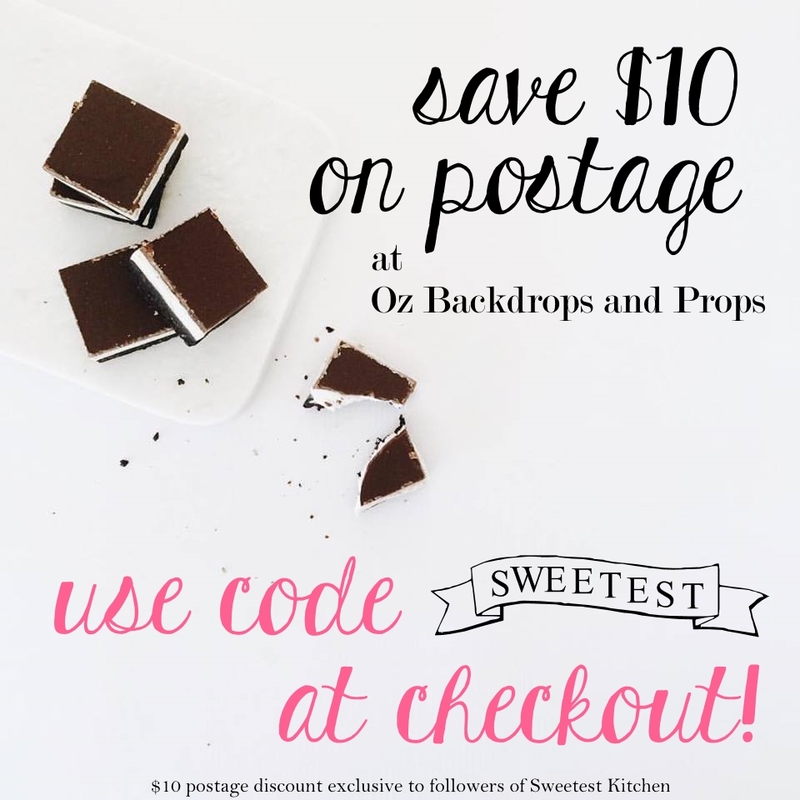 A bit on the sweet side, as most cupcakes are, and very delicious! Take any chocolate cupcake recipe, and any frosting recipe (chocolate, vanilla, or even strawberry-flavored) and pour some of this heavenly choc-macadamia spread on top. You cannot go wrong here. 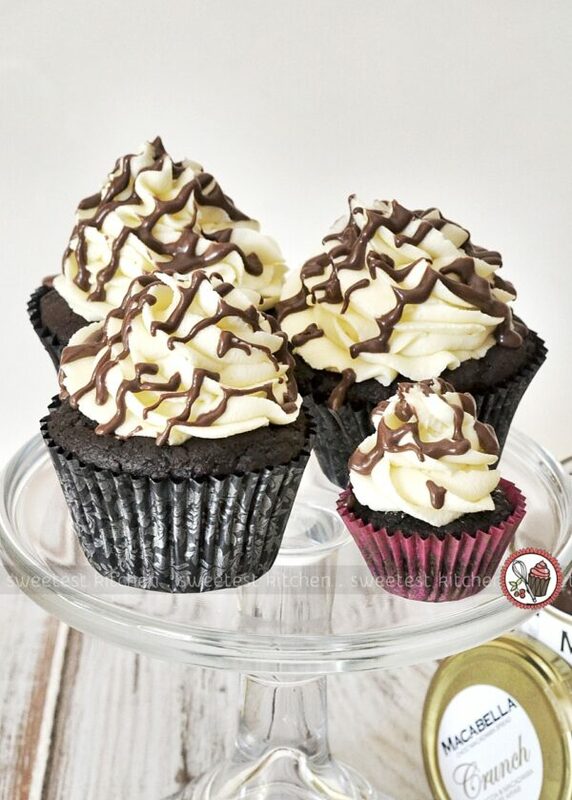 Soft and tender vegan chocolate cupcakes with silky vanilla frosting and a drizzling of Macabella chocolate-macadamia spread. For the cake: Preheat oven to 350°F and line a cupcake tin with paper liners. Mix the almond milk and vinegar in a large mixing bowl and let set for a few minutes to curdle. Add the oil, coffee or almond milk, vanilla extract, and applesauce and beat with a hand-held or standing mixer until foamy. Add the flour, sugar, cocoa powder, baking soda, baking powder, and salt to a bowl and whisk well to combine (or sift the dry ingredients into a bowl). While mixing, slowly add dry ingredients to the wet ingredients. Mix until no large lumps remain. It should be creamy and pourable. Divide batter evenly among cupcake liners. Bake 18-20 minutes, or until a toothpick inserted into the center of the cakes comes out clean. Cool completely before frosting. For the frosting: In a large mixing bowl, add softened butter. Beat until light and fluffy, about 3 minutes. Add vanilla and mix again..
With the mixer running, add powdered sugar ½ cup at a time and continue mixing until thick and creamy. Drizzle in a little non-dairy milk to thin and mix another 2 minutes. Transfer frosting a piping bag fitted with your choice of pastry tip (I used a Wilton 2M) and frost the cupcakes as desired. Place Macabella in a microwave-safe bowl and microwave until just pourable, about 10-15 seconds at 100% power. 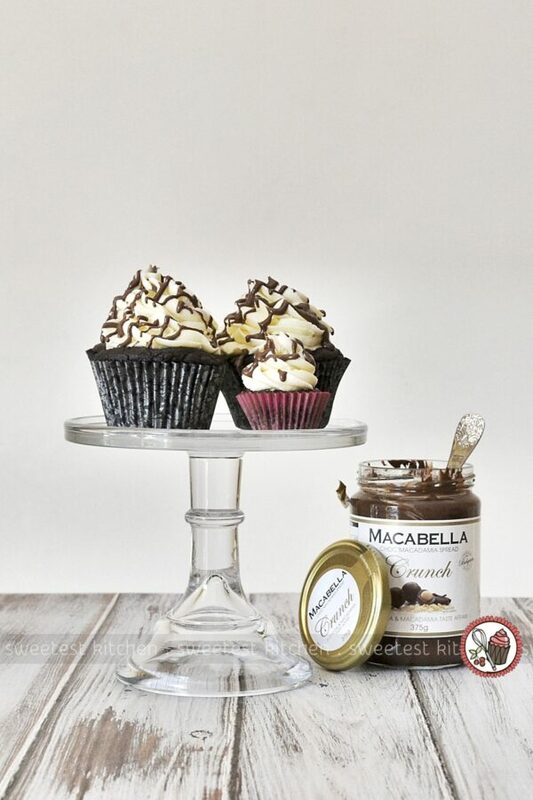 Use a spoon to drizzle the Macabella on the cupcakes, or transfer Macabella to a ziploc bag, snip a corner off and drizzle over the cupcakes. * Feel free to substitute vegan ingredients with normal milk, normal butter, etc. if you're not vegan. * If you're making a full cupcake recipe, you may need to double the frosting recipe, depending on how generously you'd like to frost the cupcakes. These are NOT vegan cupcakes if you use Macabella on the top. Macabella contains whey which is a milk product. Yes, that is true. What I meant, however, is that the cupcakes – the cake bit – themselves are vegan. Of course, a drizzle of Macabella is optional.